We are providers for the following vision insurance plans. If you do not see your insurance plan below, please contact Dayton Optometric Center, as this list is not all inclusive. If you make an appointment by phone, please have your insurance information available. Remember, Vision and Medical insurance are not one in the same. Please contact your human resources department with any questions prior to giving us your insurance information. The list below is not a complete list of insurance providers that accept. Please contact our office to check if we accept your insurance provider if it is not listed below. 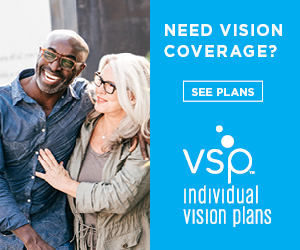 Also please be aware that VSP & EyeMed patients need to contact their provider to check to make sure your plan is accepted with us specifically.